Lara Swanson, a tech writer for Forbes, says "Users expect pages to load in two seconds, and after three seconds, up to 40% of users will abandon your site. Similar results have been noted by major sites like Amazon, who found that 100 milliseconds of additional page load time decreased sales by one percent, and Google, who lost 20% of revenue and traffic due to half a second increase in page load time." Any metric on a website found to increase page load times should be analyzed, discussed and improved so that users come back. Users don't leave positive comments saying, "Wow, the page loaded so fast!" In other words, users only care if it's slow, it's expected to be fast. Specifying image sizes using CSS height and width attributes will prolong page load times, and in turn, user experience. An image within the images folder of the website files is set for (500px by 500px) but the CSS wants the image to be 250px by 250px on the page. Therefore, the image must be called and then resized which takes more time than uploading a 250px by 250px image in the first place. When ten images are on one page and they all need to be resized, it can take a very long time to load. Leveraging browser cache uses the session global to remember the page that a user just viewed and using the cache to show the user the page again. When cache is cleared upon exit, the user will have to request the HTTP page again which will take much more time to send and accept the request. GZIP compresses files and sends them as a smaller unit rather than sending many full size files. Instead of attaching 50 PDF's to an email, one could compress the folder into a zip file and send it much quicker. This of course would make users happier without even knowing that it happened behind the scenes! Store images in the size needed for each page: Having multiple sizes of the same image will still load faster than resizing the image on every page load. Leveraging Browser Cache: This is important but not as important as the last two recommendations for faster speed. Utilize GZIP: Consolidating files into a single file can drastically reduce page load times, however it’s not needed as often as the last three recommendations. SPI Study Abroad is going to start collecting data about the visitors to their website in order to improve metrics such as getting visitors to request information about the school, getting visitors to call or contact SPI, and getting students to connect with them on social media. I will provide recommendations for collecting data that will give SPI some immediate answers to current conversion rates. I will also provide an analytics tool that will be helpful when analyzing the data that was collected because it's automatically dropped into a database to provide standard reports that most people want to see. Finally, I will help SPI figure out which metrics to analyze deeper such as the visits to certain URL pages. Perhaps the checkout page has far more visits than the thank you page, which says that there's an unusually high bounce rate on the checkout page. 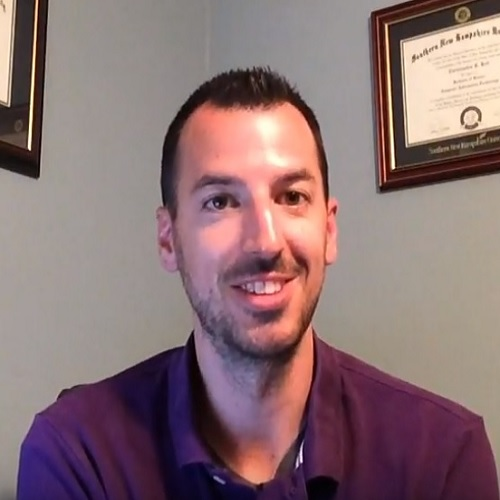 Overall, SPI will be able to soon make changes to their website that are educated, compared to the guessing game they've been playing for the last few years. The tool I recommend for SPI is Google Analytics because it's used by more than 50% of the top 10,000 websites in the world according to Lou Dubois of Inc.com, A completely free service that generates detailed statistics about visitors to your website, Google Analytics is the simplest and most robust web analytics offering. Currently used by over 50% of the top 10,000 websites in the world... Google is also the industry standard for analyzing websites in order to rank them based on keywords and phrases for their customers to view. They must have the best format for collecting and analyzing visitor data. Google offers many visuals such as pie charts and bar graphs to visually show how visitors are reacting to the website and each page. There are also tools that show if images were viewed and if videos were watched. First and foremost, SPI needs to track the conversion rate of how many visitors entered the website compared to how many signed up for more information. SPI has a form on their home page that allows the user to fill out for more information about the company and services. Then SPI should track two more percentages, (1) how many visitors turn into customers and (2) how many customers were created from the group of visitors that filled out a form for more information. If SPI finds out that there's a high conversion rate from those that got more information, then they need to determine what they can do to get more of their information in front of more visitors. Perhaps they could offer it on the website without having to enter personal information, so that more visitors view the company information. That might turn into more conversions. Perhaps SPI can offer their brochure on the website, see how many more visitors view it compared to the previous month, then determine if they got more new customers overall. Collecting the email addresses is one metric, but a more important metric is getting new customers. Trial and error is the way to figure out if new ideas turn into additional sales. If they don't then return to the previous format. Other than labor of employees viewing and analyzing, Google Analytics is free of charge. It can't hurt for SPI to view a month of results to determine if the tool can help create more sales. Typically, uneducated people quickly say, "How do we get more visitors to our website?" instead of analyzing the current visitors in order to convert them into sales. Getting more visitors is only one metric. Communicating the goals of the company with management is important so that the changes made from viewing the analytics report are in line with the company mission statement. SPI Study Abroad is planning to expand their website into international territory which requires them to consider the best practices for expanding, justification for doing so, how to adapt to the new culture and language barriers, and operational changes to support foreign customers. Offering products and services to countries with different cultures and languages means also offering customer support. Perhaps it would be best to expand to one country at a time in order to adapt to the changes that come along with it. Justifying to stakeholders that a new location is a good idea will require a detailed plan, a strict budget, and a time frame for the return on investment. This plan will also require the answers to language barriers, culture differences, and possible locations in other countries. Operational changes will need to be considered such as sending all phone calls from Mexico to a certain location, and creating a subdomain of the website in Spanish. Best practices start with strong customer support, and since SPI already has connections in other countries they might have multi-lingual staff already on board for popular languages. Internally, they should consider accepting phones calls by language first in order to understand and direct the customer accordingly. Locally, a new location would show that they are committed to supporting that area in a personal way. When a business makes the bold step of becoming internationally active, it must learn new domestic rules and reporting requirements, a new vernacular, and an understanding of how foreign countries tax local businesses and non-residents. In addition to new vernacular, new taxes, and new filing requirements, there are also new entity types and structures and new accounting challenges that must be understood (Jonckheere, 2012). Adapting to culture and language is important for customer support and marketing efforts. Adapting to new laws and governments is necessary, and including ethics, morals and religions will be an important area to consider before offending potential customers in a big marketing campaign. It's important to consider culture, language and religion because customer could be easily offended by statements such as, "Oh my God!" or "Jesus, you sound like a good student!" Slang can be difficult to avoid during a conversation and it can be impossible to know everything that's possibly offensive. Ethics and morals were mentioned because some companies manufacture products in other countries to take advantage of low labor rates, however is it ethical to pay one employee half as much as another doing the same job? Is it even morally ethical? SPI should be aware that, even though paying lower wages isn't illegal, it's unethical and could end up being a news story that hurts their company. Adapting the website for international visitors will have to include a subdomain for each country in their native language. Spanish speaking visitors will bounce quickly if they can't read the website, so they need to be redirected to the Spanish subdomain. I would also suggest a different phone on the subdomain so that all phone calls coming in from those visitors will arrive at a Spanish speaking agent. SPI should consider adding more pictures to their website that show a multicultural viewpoint. The legal department of SPI needs to understand all of the new taxes that will be charged outside of the country. While most U.S. businesses and persons are familiar with the sales and use taxes assessed by most states and some local jurisdictions, they generally are not familiar with value-added taxes (VAT) that are a key source of revenue for virtually all foreign countries (Jonckheere, 2012). Most online transactions are completed with credit cards, and currency is automatically converted based on the current rate, so customers can place orders in USD even if they are located in China or Mexico. However, each country should be segmented as quickly as possible so that the best customer service can be given each and every time. The biggest operational change will be the website subdomains and phone line support (forwarding Spanish speaking customers to Spanish speaking support teams). The subdomains should be straight forward but they might need to hire an interpreter to help with the translation, also to avoid slang and possibly offensive wording. Expanding internationally is more scary than expanding nationally because of language barriers, different cultures, highly religious countries, ethics and morals, communication, phone support, local/personal relationship problems, taxation, laws, freight/customs, etc. However, all of these potential problems can be addressed with careful planning of best practices, justifying those practices, adapting before and after problems arise, and changing daily operations that most employees are already accustomed to as a daily routine. Following a simple plan addressed above will allow SPI to merge into the international market carefully and methodically. Search engines use words and phrases to find websites' individual pages so it's important to incorporate words about products and services for search engines to use. After including words and phrases about studying abroad on SPI's website, there are external, or off-page, efforts that include search engine marketing (SEM), metrics about keyword analysis, paid inclusion practices, and conversion goals to consider. We have a few proven recommendations for SPI that will their website show up in the SERPs more often. Definition.com defines Optimization as, "a mathematical technique for finding a maximum or minimum value of a function of several variables subject to a set of constraints, as linear programming or systems analysis." Search engine optimization is the art of meeting the formula of each of the different search engine companies' algorithms. For SPI, we'll want to add an article section of the website that we can use to add more content and keywords. They currently have a small section in the footer that we'll use as a template for similar pages. Unfortunately, the social icons are much more eye-catching than the informational pages about SPI and their services. We might want to change that as well to avoid cannibalization. Social media is a great tool for user engagement, however in terms of optimization efforts, it hurts statistics. When they leave your site, they're farther away from your products or services and farther away from your lead generation form or shopping cart (Madsen, n.d.). Since search engines use external links as a determining factor for showing up in SERPs, we'll focus on link building through article directories and press release websites. We'll be careful to use keywords and phrases without abusing them. Heuristics are important in search engine optimization because they allow for variations in the way that users search for a particular keyword or key phrase. Because a combination of factors must come together to create a ranking for your website, heuristics make it possible for some, but not all, of those factors to be present (Ledford, 2008). An easier, but much more expensive, way of showing up for SPI's chosen key words and phrases is to pay the search engine to put you there. Google will put you first on the list for any keyword of your choice as long as you can afford to pay for each click, some being more expensive than others. 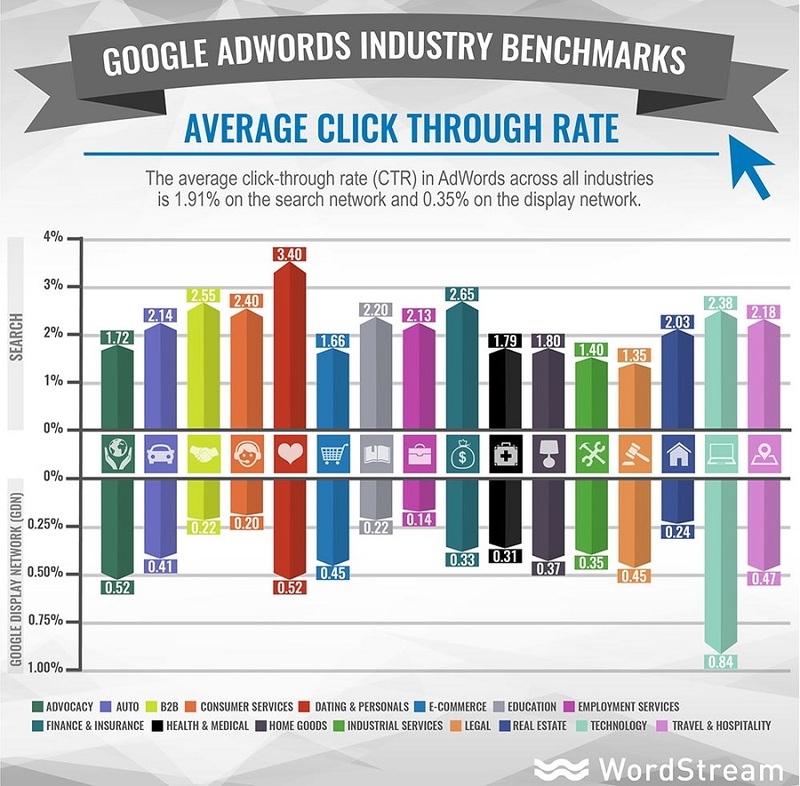 The average click-through rate (CTR) in AdWords across all industries is 1.91% on the search network and 0.35% on the display network (Wordstream, 2015). Positively, SPI will start to get immediate results because a search engine can get your website into the paid search within about 10 minutes. Negatively, it will cost a lot of money and the results, good or bad, will not add any value to the natural search traffic. If SPI get hundreds of clicks it will not change how they show up naturally according to Google, Investment in paid search has no impact on your organic search ranking. Google maintains a strict separation between our search business and our advertising business (Google Support, n.d.). Our recommendation for SPI is to start with Google AdWords to gain perspective on what works and what doesn't work. Their SEO and SEM plan will take time to gain traction, so while those efforts are starting, Google AdWords will give insight to that plan. SPI will determine which keywords convert better than others, where their users are coming from for user profiles, how well each web page performs once the visitors get to the site, and which landing pages are better. The AdWords will cost money but it will be worth seeing the results so that the organic SEO plan can be further optimized for better results with data to back it up. We should also start adding content to their website with a specific set of keywords in mind. We can't overuse keywords or it will look like we're trying to manipulate the results, but we'll use the keywords with at least 500 words of content on each page. We can skip the part about titles and descriptions for meta data because SPI is using them, but we need far more pages with variations of keywords and phrases without being repetitive or duplicating content. Jonckheere, J., & Janiczek, R. (2012). EXPANDING INTERNATIONALLY: WHAT SMALL AND MID-SIZED BUSINESSES NEED TO KNOW. Practical Tax Strategies, 89(2), 78-87. Ledford, Jerri L.. Bible: SEO: Search Engine Optimization Bible (1). Hoboken, US: Wiley, 2008. ProQuest ebrary.